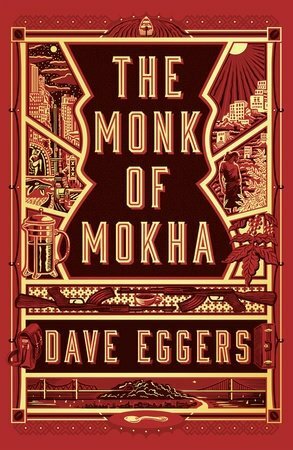 GUEST BLOG / By Michael Sheridan from Intelligencia Newsletter--The only real complaint I have about The Monk of Mokha, a new book by the incomparable Dave Eggers, is this: it ended too soon. I packed it for my recent flight to Nicaragua, and read the whole thing before I landed, leaving myself nothing to read for the rest of the week. 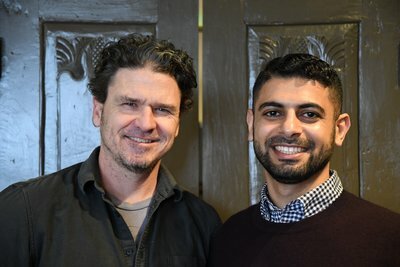 Eggers tells the story of Mokhtar Alkhanshali, a Yemeni-American born into trying circumstances in San Francisco’s Tenderloin District, where he learned to hustle but steadfastly refused to learn much else, shirking schoolwork in favor of all the other temptations making claims on the attention of a boy prone to mischief in a city crowded with temptations. More specifically, it tells the impossible-but-true of how Mokhtar stumbled out of his early-20s ennui into coffee, tumbled down the coffee rabbit hole and chased an audacious dream of ushering the ancient Yemeni coffee sector into the effervescent 21st-century specialty coffee scene. The tension in the story comes from the formidable obstacles that stood between Mokhtar and his dream. Trifles, really. Like, he didn’t know the first thing about coffee. And he was broke. Worse than broke, actually, he was in debt. Oh, and this: Yemen, the place where he was going to source his coffee, was in the grips of a bloody civil war. Mokhtar emerges as part Quixote, part Magoo, part Bond, chasing a ghost recklessly into the path of car bombings, aerial bombings, rebel uprisings and a popular counter-insurgency, only to talk his way out of trouble again and again like a tested agent. Sometimes, Eggers suggests, the pursuit of his dream was used by others to advance their own dark ends. Other times, Mokhtar dragged unknowing accomplices with him into harm’s way, but he never left a man behind. Everywhere along the line, there were people involved. Farmers who planted and monitored and cared for and pruned and fertilized their trees. Pickers who walked among the rows of plants, in the mountains’ thin air, taking the cherries, only the red cherries, placing them one by one in their buckets and baskets. Workers who processed the cherries, most of that work done by hand, too, fingers removing the sticky mucilage from each bean. There were the humans who dried the beans. Who turned them on the drying beds to make sure they dried evenly. Then those who sorted the dried beans, the good beans from the bad. Then the humans who bagged these sorted beans. Bagged them in bags that kept them fresh, bags that retained the flavor without adding unwanted tastes and aromas. The humans who tossed the bagged beans on trucks. The humans who took the bags off the trucks and put them into containers and onto ships. The humans who took the beans from the ships and put them on different trucks. The humans who took the bags from the trucks and brought them into the roasteries in Tokyo and Chicago and Trieste. The humans who roasted each batch. The humans who packed smaller batches into smaller bags for purchase by those who might want to grind and brew at home. Or the humans who did the grinding at the coffee shop and then painstakingly brewed and poured the coffee or espresso or cappuccino. The author admits that he was a specialty coffee skeptic when he started his work on the book. One of the not inconsequential numbers of people who aren’t seduced by the elaborate rituals of specialty or the passion of its adherents, but put off by the fussiness and, perhaps occasionally, repelled by the sanctimony of people who are passionate about the craft of coffee. But Eggers is finally won over, both by Mokhtar, in his single-minded devotion to it, the millions of people who produce it with their hands and by the coffee culture itself.